Police in Bulgaria’s capital city have announced security measures for the 2016 Sofia Pride parade and the counter-protest to be held on June 18 – and have called on passersby to show tolerance for participants. 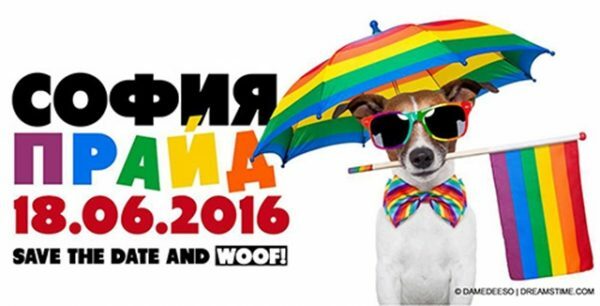 The ninth annual Sofia Pride event in Sofia in support of LGBTI rights has been at the centre of concern in the city because the municipality also has given permission for a counter-protest billed as “protect our children from debauchery”. Organisers of Sofia Pride 2016 have expressed concern because they allege that those involved in the counter-protest have links to sports hooligans and far-right groups. The Interior Ministry said in a statement on the eve of the events that Sofia municipality had given permission for Sofia Pride, which starts at 5pm, and the other event, which stated its starting time as 5.30pm. The statement said that before, during and after the events, Sofia police supported by the national police directorate would be engaged in providing security, ensuring public order and organising vehicle traffic in the city. The area of Knyazhevo garden and around the National Palace of Culture, NDK, had been announced as assembly places for the participants in the marches, the Interior Ministry said. There would be filtering checkpoints and buffer zones. In accordance with Bulgarian law, people would not be allowed into the demarcated zones if they were visibly intoxicated, masked or carrying prohibited items such as firearms, fireworks, knives or batons. For security reasons, the routes of the marches will be escorted by police teams. Traffic would be stopped along the way and permitted again once participants had passed. The Interior Ministry said that all necessary measure had been taken to prevent incidents and breaches of the peace. The Sofia Interior Ministry directorate called on people in the area of the parade and counter-protest to show tolerance towards participants, for the sake of keeping public order. As has become customary since the first Sofia Pride parade, the event has been criticised by the Bulgarian Orthodox Church and by nationalist political groups.